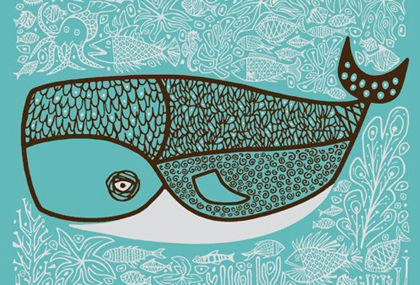 Image Copyright French Paper Co.
Minneapolis design firm CSA has created a few art prints for French Paper Co. The prints are 2 color, 19″ x 24,” offset printed and will be given away at upcoming paper and design shows. Rumor has it that the prints will be offered up for sale later down the road. View the whole set at OMG Posters. Tea lovers rejoice. Pick up yourselves some Damn Fine Tea courtesy of Andrews & Dunham. The tea comes loose and is contained in some sweet tins, each with a hand-printed label by the almighty Aesthetic Apparatus. My stash is on the way. Here’s a swell idea… get a black taxi-cab, find some musicians, throw them in the back, and get treated to a very intimate performance while driving around London. Introducing Black Cab Sessions. Be sure to check out the one with My Morning Jacket. And finally for today, yet another reason to get an iPhone. This is just genius. Via FormFiftyFive. Since I haven’t posted in a while, (due to unpaid internet bills) and since I am feeling a little generous on this x-mas eve, here’s a motley of quality content to keep you tied over until the new year, or whenever I get around to posting again. Our friend Hackleys from across the pond have some great advice for heading into 2009. Definitely am going to find myself refering back to this list quite often. I’ve been using Field Notes for quite some time. I’m never caught without one, and love how they’re small and soft enough to keep in your back pocket, yet durable enough to withstand a beating. Douglas Wilson gives one to each of his students to fill with whatever they want. Here are the results. JamBase names My Morning Jacket band of the year in 2008. 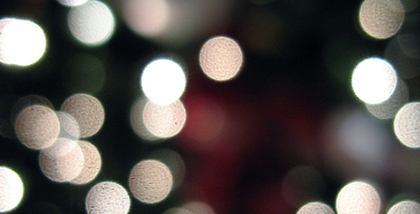 With a new year approaching, you’ll probably find yourself needing a new calender, or two. UpperCase has some excellent options for you. I love seeing the creative process in action. Illustrator John Burton documents his processes on his blog, The Unreachable Itch. Here’s some tilt-shift photography on Things I Like. And finally for today, photographer Todd Hido as some stunning work. Apologies to all three of the people who read this blog. I’ve been a bit under the weather the past few days, but hopefully the worst is over. 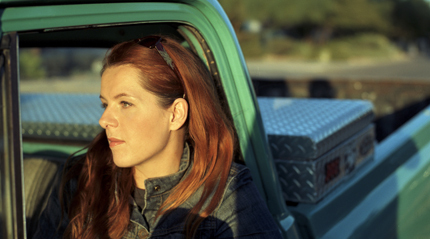 Neko Case has announced a March 3rd release date for her upcoming release, Middle Cyclone. 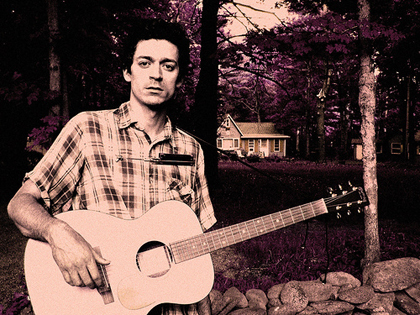 Cyclone, Case’s followup to the superb Fox Confessor, features appearances from fellow folksters M. Ward, Calexico, the Band’s Garth Hudson, and the Sadies. Get a load of the album art over at Stereogum. Ryan Bingham is playing at the Eccles Center tonight in Park City. While I am fan of Bingham, the $65 ticket price seems a bit absurd. The trip back home was great. Nothing like some quality time filled with good friends, family, food, and lots of excellent performances by the likes of A.A. Bondy, Drive-By Truckers, Loretta Lynn, and the always incredible Avett Brothers. However, it’s always nice to get back into the old routine. Brooklyn’s Tommy Cinquegrano has some pretty killer prints. Check them out at his Printshop Store. Brooks Reynolds produces some quality images. Check out his ethereal photographic series, We Are Sleeping Giants. And in music news, Dan Auerbach of the Black Keys, one of the most gritty and raw blues bands going today, is creating a solo album and hitting the road all by his lonesome. For complete details and tour dates visit our friends over at JamBase. A.A. Bondy, Breaking News, & Other Goodies. Last night I was treated to an intimate performance by A.A. Bondy. Bondy’s folk driven melodies are both dark and sparce, while pulling tightly at the heartstrings. His solo debut American Hearts is available now on Fat Possum records. Head over to Daytrotter to download some tracks from their recent session. A couple posts ago, I mentioned one of my old photo teachers, Jordan Tate. Back then one of Jordan’s projects was “Breaking News,” where he made up fake stories and put them on the front page of The New York Times, only to disperse them around the library and various coffee shops while he sat back and waited for the unsuspecting reader’s reaction. Could it be? So stoked for the Truckers show tonight at the Bird. I’m anticipating a packed house so if you don’t already have tix, get over to the box office ASAP! Tomorrow I’ll report back with full a review… until then here’s some stuff for you to look at. Check out this phenomenal billboard. Found via Douglas Wilson. Joshua Budich has some pretty impressive prints of various pop icons. Buy some stuff while your there, God knows printers need to make a livin’ too.